I'm new to sharepoint, I've created a web services where i post files to a document library but i also want to add metadata(columns data) 'Title' at the same time as i post the file using java. Is there any URL endpoint build in sharepoint i can use to accomplish this task? You have not specified what web services you are using. You should keep in mind that SOAP web services are deprecated for SharePoint 2013. REST web services are most common for SharePoint 2013 and I hope you are using them. You will get uploaded SP.File in your response. 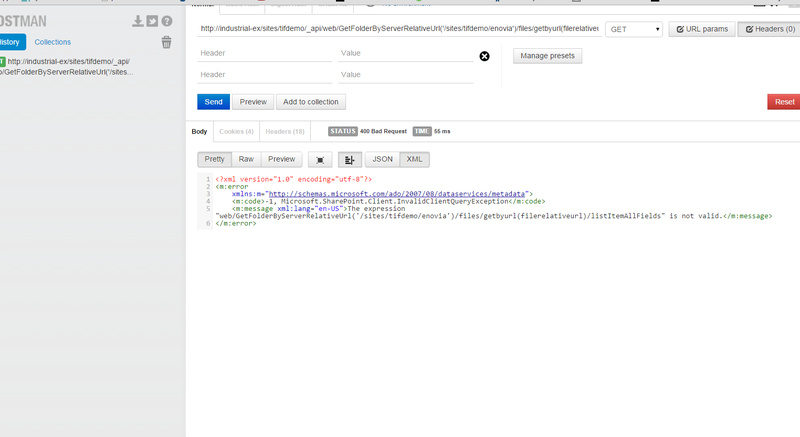 You have to get SP.ListItem associated with your new SP.File using GET http://<sitecollection>/<site>/_api/web/folders/getbyurl(folderrelativeurl)/files/getbyurl(filerelativeurl)/listItemAllFields endpoint. You will get SP.ListItem in your response. This is how i make a POST to document library right now.. The next step is to make a GET to that file in document library but i can't figure it out. Sorry if this is bothersome but i'm new to this. How should the url look like for the GET? System.out.println("STATUS CODE: " + method.getStatusCode() + " " + "STATUS TEXT: "
I can see my document file but how do i then select the metadata? Not the answer you're looking for? Browse other questions tagged sharepoint-server document-library web-services metadata java or ask your own question.